Avatar comics to end or take a hiatus due to Korra comics? AvatarSpirit.Net > The World of Avatar > Wan Shi Tong's Library (Moderator: Cerulean) > Avatar comics to end or take a hiatus due to Korra comics? Re: Avatar comics to end or take a hiatus due to Korra comics? So North and South could very well be the last comic if there was no over-arching plans. Maybe Mike and Bryan wanted to leave Azula's ending up for interpretation? Who knows. It doesn’t look good for any continuation of the ATLA comics, at least not any time soon. Well, it looks like Gurihiru have one last thing to show us, or at least a part of something. I wonder what it’ll look like when it’s finished. And yeah, I'm guessing we won't be seeing more Avatar comics for a while. I'm personally hoping for AtLA to come back in a year or so as a Greg Pak-penned monthly series. Published by IDW. With possibilities for spin-offs. I think a monthly series could be good. (And not completely out of the question- Zim got a monthly series years after the show was cancelled.) The long gaps between book publications kind of quashed some of my interest in the ATLA comics. Plus they wouldn't feel obligated to stick to the three-instalment story structure for every story. They could shake it up a bit. All they need to get is an actual direction and much better writers. And as long as the creators step away or keep a distant reach, I'll be fine with whatever. Well I guess this is the best info we have gotten on the continuation of the Avatar comics in a while. I still want to know what "focus on Korra" means. All those months between releases of each part of the trilogy can't be put to use switching between Avatars? Aang can't get an ongoing monthly book while Korra is getting graphic novel releases? Entertainment news outlets only post new stuff quarterly so we have to make sure we space out Avatar news every three months? Dark Horse doesn't have the budget to employ more than one artist at a time on Avatar? This was the company that was publishing four Star Wars books a month at one point. I don't know how much input Mike and Bryan have into TLA comics, but with them also working on their own personal projects + Korra...I imagine they might be a bit overwhelmed? Unless they are okay with handing off the work to someone else. Well, for all the advertising of their input, an interview later revealed that one of them (the Bryan, I believe) didn't have any involvement with the comics whatsoever, being so focused on the development of LoK. Whether that has changed now that LoK is done, I don't know. But the impression the interviews give is that the script-writer does most of the work, just getting a very basic premise from the Mike and the Bryan and then being allowed to ask questions as the writing goes along. That doesn't sound time-consuming to me. In fact, I'll take over the duties, in addition to my day-job and hobbies, if the Mike is too busy. I'd be completely find if the ATLA comics came to an end. While I think there's still the potential to tell great ATLA stories as comics, the past trilogies haven't exactly given me much hope that they'd use that potential. If they do continue, then I do hope they do something great. This is Avatar, so I know I'm going to end up reading them no matter what. I think that a time skip is in order. We have at least five decades until Aang passes, so instead of slowly building up to that (because at this rate we'll hit our senior years before the GAANG does) it would be best to skip a few years at a time to large events in their lives. Bryan said in an interview that, beyond being busy with LoK, he just wasn't personally interested in continuing Aagn's story through the comics. In his mind, the story he wanted to tell with Aang ended with the show, and he sees no need to continue revisiting the same characters. Not that he begrudges fans wanting more about Aang, and he thinks the comics are great for fans that do, it's just not something he personally was interested in doing. In another interview they talked about Bryan and particularly Mike being most involved in the plotting of The Search since that was such an important plot thread to follow up on from ATLA (which they wanted to make into a TV special, but Nickelodeon wouldn't greenlight it so they had to settle for the comic). But past the Search, yeah, even Mike has more been in an advisory role with the comics. Ah, thanks for the clarification. I wish I'd bookmarked that interview. I'm pretty sure years have passed and they still look the same? They shouldn't have round baby faces any more but then again ageing in Avatar is so inconsistent anyway. In the comics that have been released so far? I guess that is about two years though. If there are any more comics about the Gaang in the future, though, then I agree that they should be starting to look a little older even if there isn't a time skip. Since I saw some people discussing IDW’s various Transformers comics’ sales I have been wondering a bit if Dark Horse might be afraid of possibly cannibalizing their own readers. While I would love to see twice the amount of Avatar related material being published, I don’t know if it would actually mean double the sales as far as actual readers would go. It's good to note, though, that IDW only started losing sales with this 'Revolution' garbage that had three ongoing Transformers titles plus the full Hasbro Universe titles that have had Transformers characters popping up in them. GIJoe, for example, has a Transformer in its regular cast. Revolutionaries has two. (Gosh, I loathe that book.) That's five titles to read if you want to just follow established, prominent characters, and then there's the ancillary stuff and the dedicated crossover mini-series. Back in the day, Dark Horse even ran 2-3 Star Wars titles at once, a mix on ongoings and rotating mini-series. They might be worried about cannibalizing the Avatar readership, but if so, they don't think much of it. And then there's the possibility of bringing in new fans with books that are worth reading for people who aren't chasing a nostalgia hit, but I can see why Dark Horse would be skeptical of that possibility. Looks like we are getting a new creative team. Faith Erin Hicks on the writing and Peter Wartman on the illustration. The comic will be out at some point next year. I assume they are continuing the story after North and South? 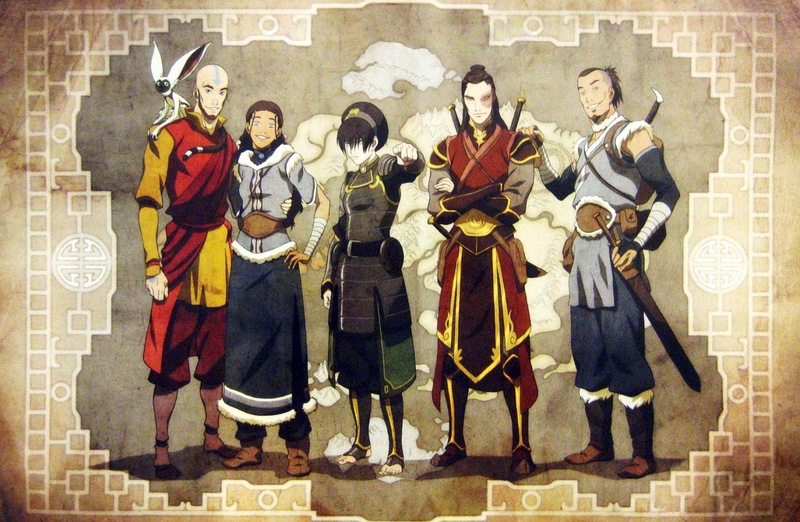 I like Aang’s taller and lankier look. He has grown up. An artist whose style has actual personality and feels three-dimensional? A writer whose work I enjoy? Sign me up! The looks of the comic reminds me of Shadow of the Colossus, nice. I like those designs. Count me in! So, if I want to check out Faith Erin Hicks's writing, what would people recommend? I see she has some webcomics and graphic novels. However, just based on this (specifically, the panel where she wants Sokka to be her TV boyfriend ), I'm hopeful. I've followed her work since 2010 I think? I remember enjoying how she wrote family dynamics in her then current works: Superhero Girl and especially Friends With Boys. You can also still read online some of her early works, but the best to me would be ICE, it's set in a dystopian United Kingdom as the world goes through a new glaciation period. Artwise, this is the where her personal style really started to take form, and unlike her other comics it's not for all-ages. Then there's The Nameless City trilogy, her biggest work to date (240 pages for the first book, 256 for the 2nd ), I've yet to read it but from what I've seen by following her tumblr and reading the preview, it's really good. Avatar definitely had an influence here, and it's obviously a labor of love that took years to complete, plus the reviews are pretty raving so yeah, I think one can afford to be hopeful here. Wow. An art style that isn't utter garbage. I actually love it. I just hope the writing itself is far better than the mess that came before, though. Otherwise, it's going to be a dud. If Robotech/Macross ever comes back here, they should tap this artist to do the comics or as the character/mecha designer of the animated reboot. Looks pretty good! I concur with those who are digging Aang's new design. Anyway, I'm going to be cautious, but still fairly optimistic about this new project. Peter, who is the artist I believe, certainly has the artistic talent, but like all things, it is best to wait and see how the quality measures up...at least, in the writing department. It's back, sort of, and it wishes it had this kind of art. Eww...generic American art style. Looks too much like G.I. Joe. 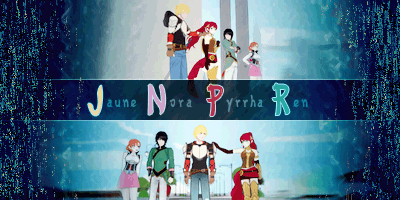 Nothing about it tells me it's based in any way off an anime. It'd be like making a Astro Boy comic that nixes Tezuka's art style for a generic Big Boy-esque style. At least story-wise from what I heard, it attempted to tie in other Tezuka properties. But god, that style is fugly. The Gigantor comic was by far the worst I have read about as it sounds like a terrible fanfiction or Bleedman's comics.The only anime franchise that was in any way faithful to its property in comics has to be Speed Racer. and since that won't be reprinted for some time if ever, I won't ever be able to read that.